For every high roller there is a low roller, and if low-stakes Blackjack is your game you won’t find much better than NetEnt’s Blackjack Professional Series Low Limit. It has all the hallmarks of its Professional Series counterparts, only with much lower stakes. That said, a 785.00 max jackpot isn’t a shoddy return at all for a low stakes game. This is largely owing to NetEnt’s Double Jacks side bets, which can see us bag two payouts of 50:1 each if we land double Jacks of Spades in this four deck game. Sparkling. It might be low-stakes, but Blackjack Professional Series Low Limit isn’t low entertainment or low-quality graphics. NetEnt brings a universal aim for quality to the table with each of its slots and online casino games, regardless of stake. As with the other Blackjack games in this series, NetEnt delivers a player’s eye view of our multihand table, giving us the option to play just a single hand against the Dealer or up to three at a time. 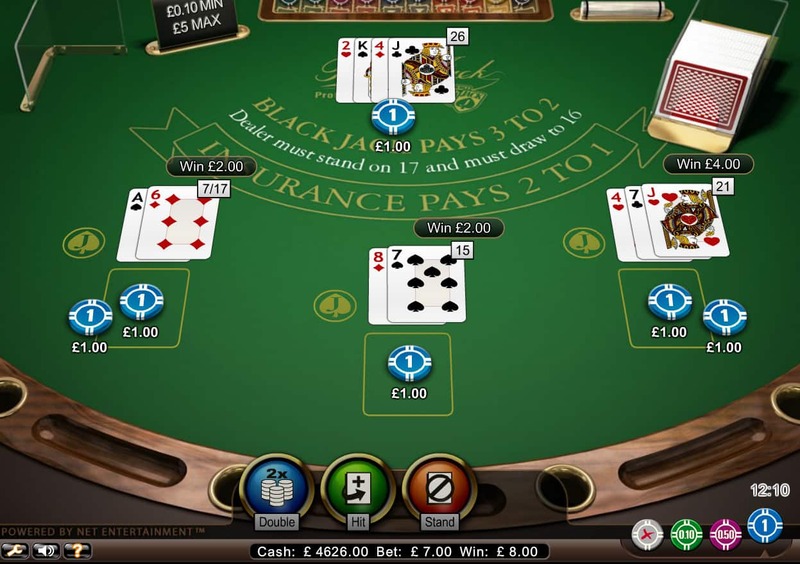 Place a chip on any of our hand positions and the Double Jacks side bet will gleam alluringly. And, as enticing as they may be, they are still optional. The cards are dealt as swiftly as we like, with options to slow down or speed up the game-play at will, but overall the game’s finish is slick. 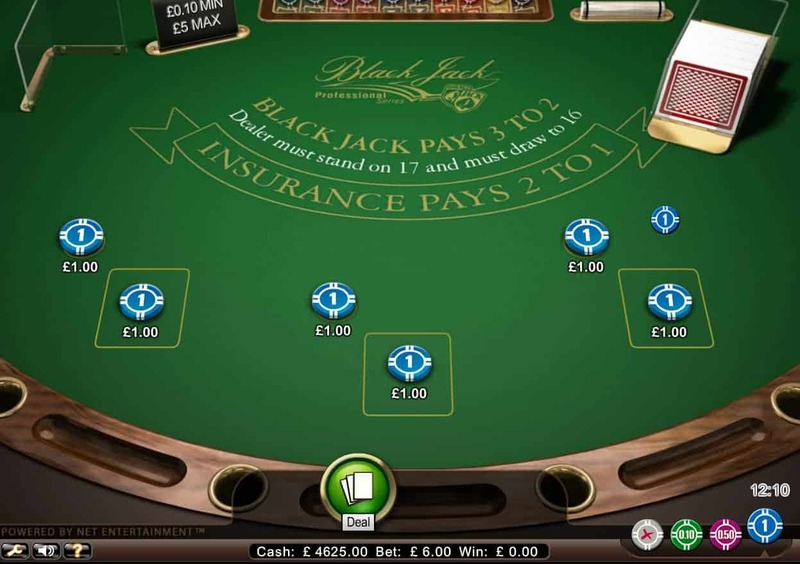 The game-play in Blackjack Professional Series High Limit is as quick as we like it, with payouts operating on usual Blackjack lines: Blackjack pays out 3:2, Insurance wins pay out 2:1. But it is the Double Jacks side bet that is our real deal to big winnings here. 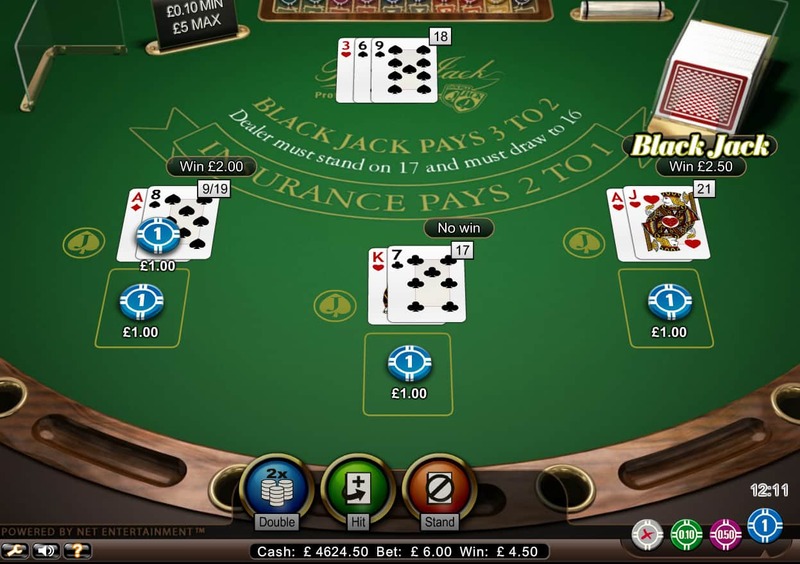 We can only bet on the Double Jacks game if we bet on a corresponding Blackjack hand, with bet limits on our side bets set to the same as the main bet. But with four decks to play with we have the possibility of landing two pairs of Jacks of Spades, each bringing a hefty payout of 50:1. Should we land a pair of non-Spades Jacks (or one Spades and one Hearts, for example) we will score a 25:1 payout. If our first card is a Jack, we score a 10:1 payout for that side bet. The graphics are neat and tidy, the game-play is effortless and the stakes are asking us how low we can go. For low-rollers, the 0.10 minimum bet allows us to mix up our betting strategies nicely, while still hovering decent payouts well within reach. This is largely thanks to the Double Jacks side bets, which can take our Blackjack wins to the next level. Of course, we don’t have to play them, either. There’s plenty on view here that allows us to focus on a plain and simple great game of online Blackjack.